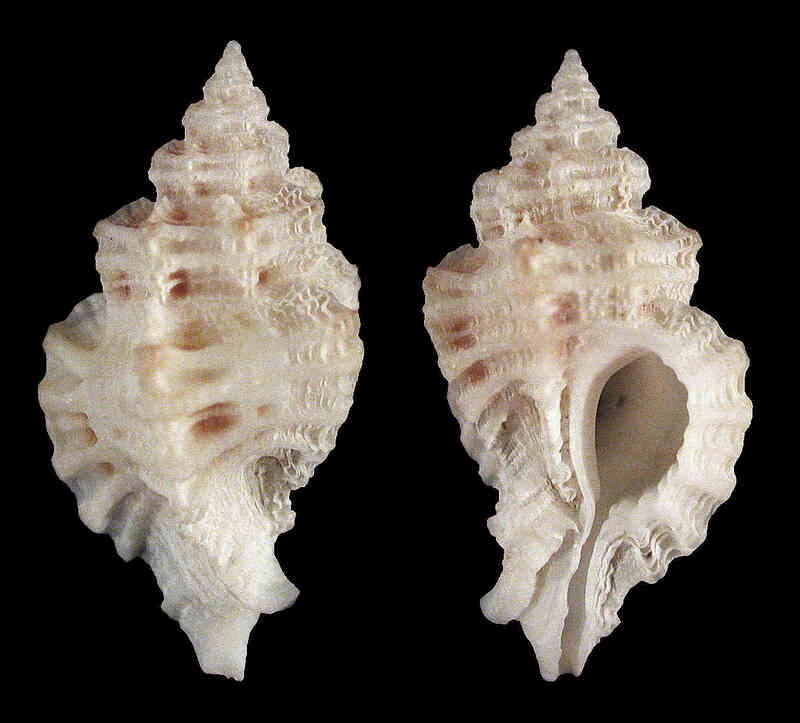 Shell size to 25 mm; shell delicate, solid. Surface finely pitted. Sculpture of 5-7 major varices per whorl. Anterior canal turned up. Outer lip internally with 5-7 denticles. Color white to grayish-white.